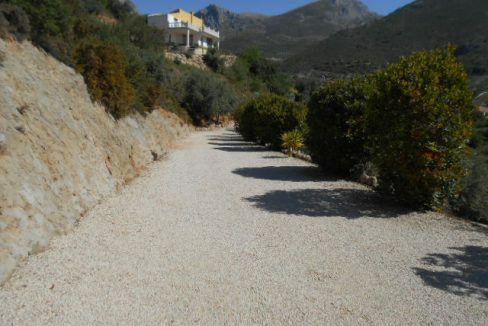 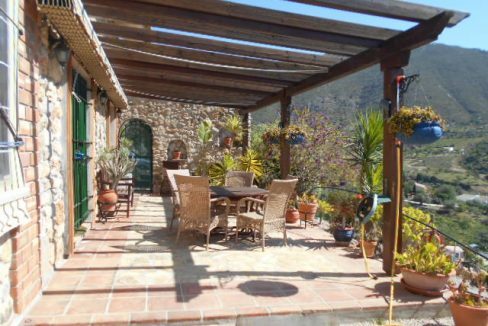 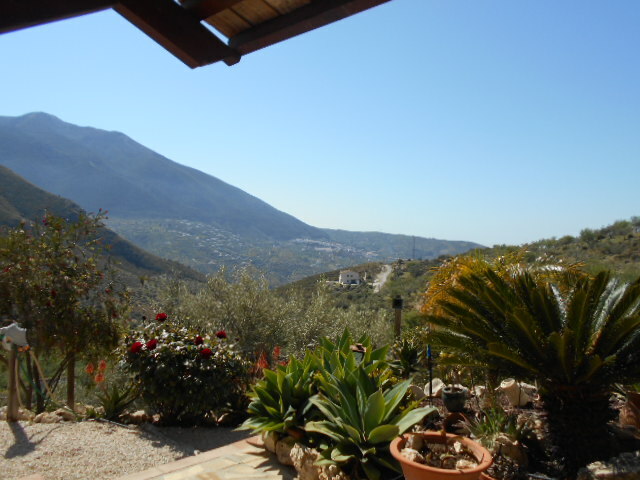 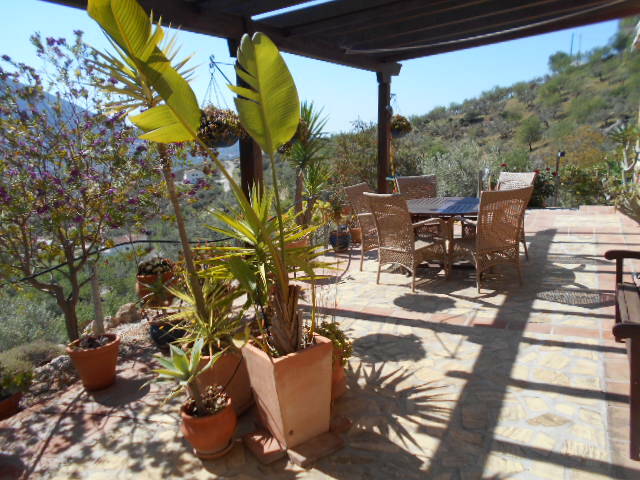 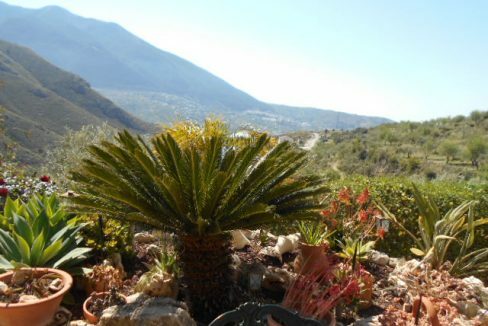 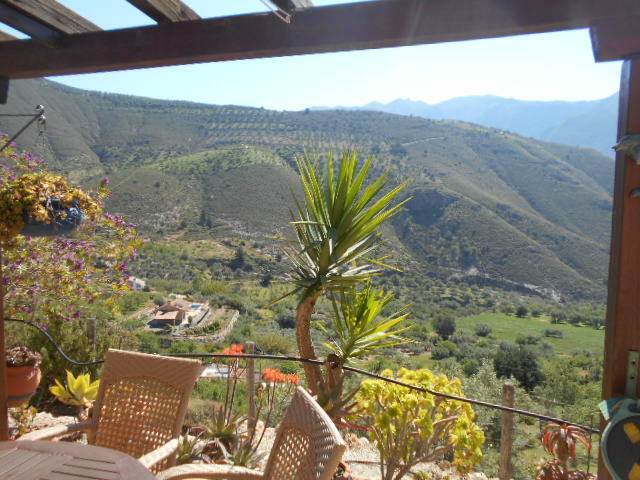 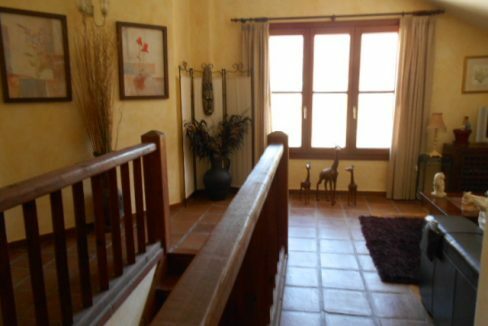 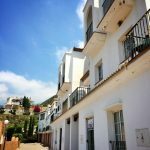 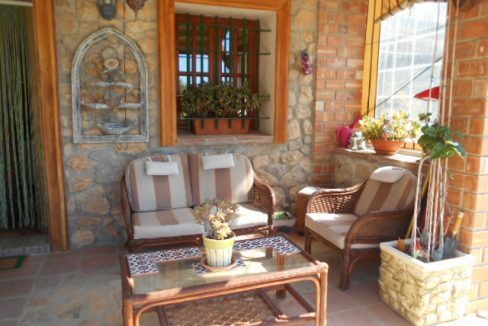 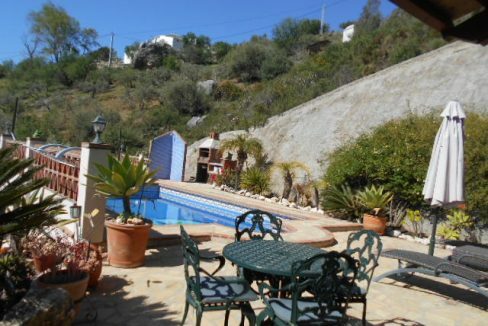 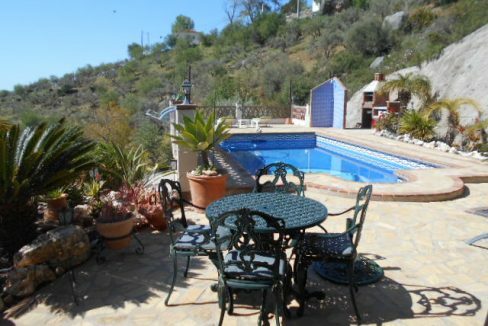 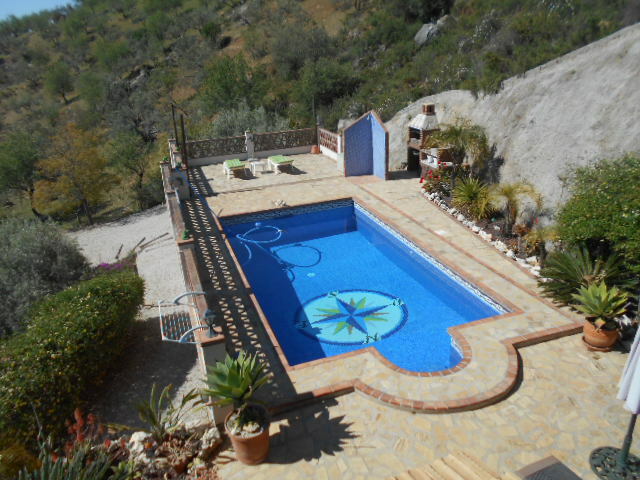 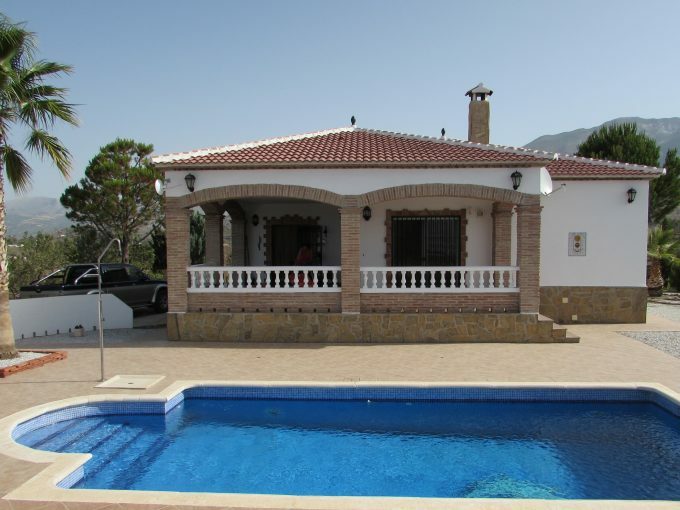 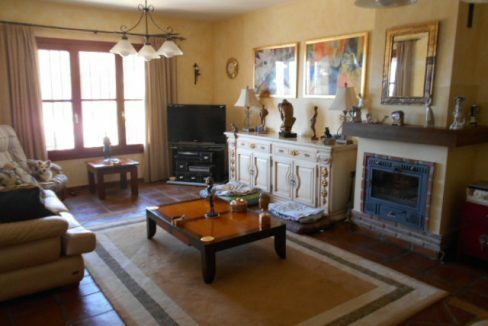 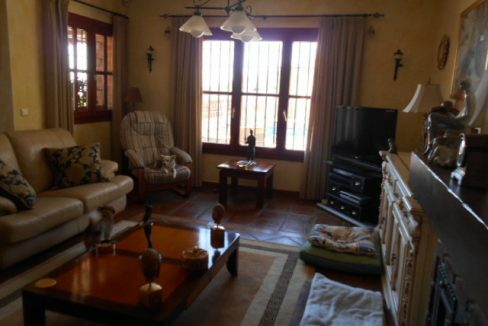 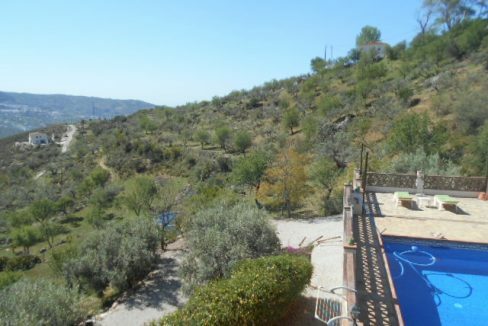 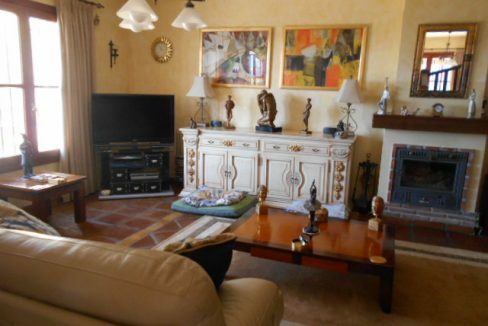 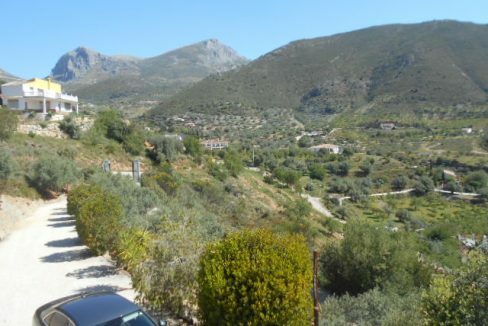 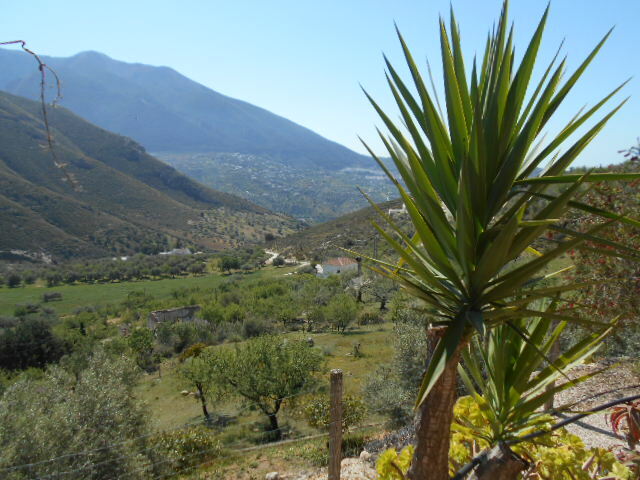 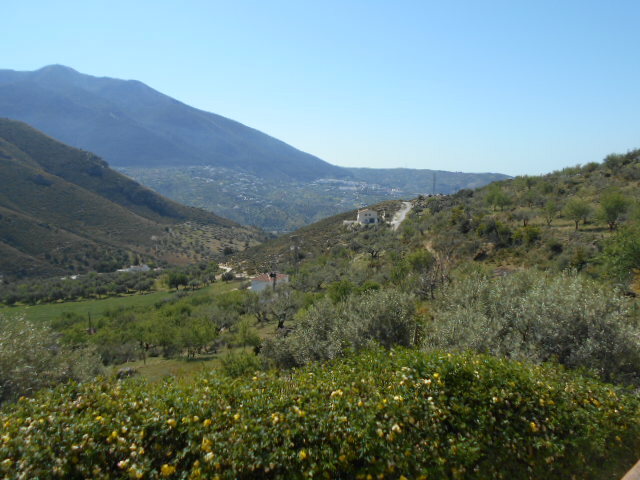 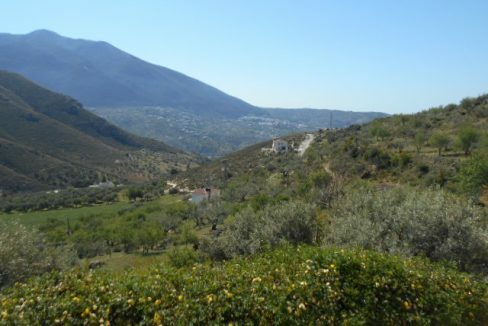 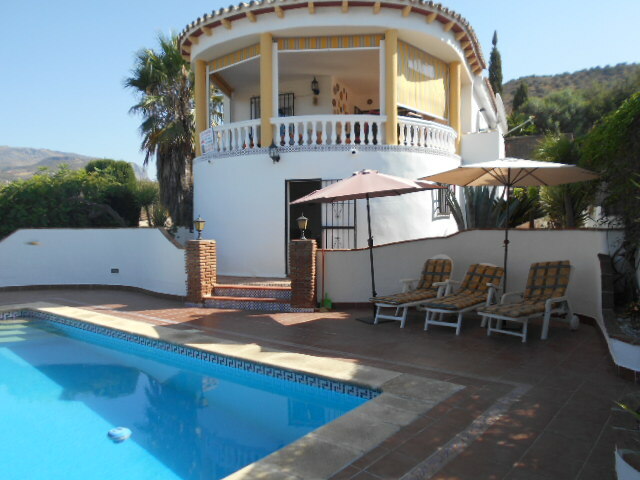 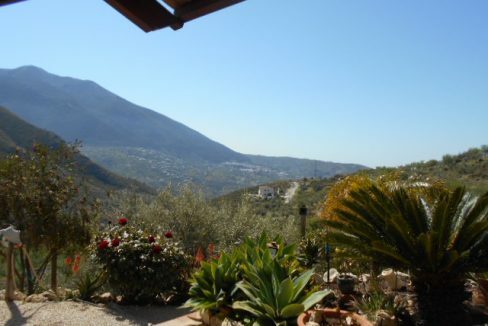 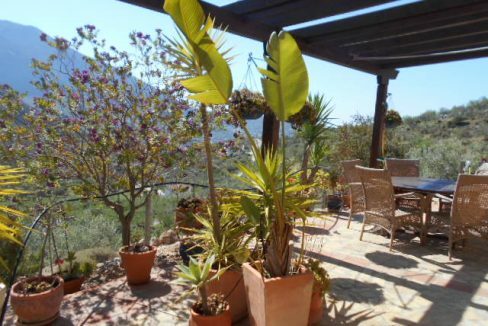 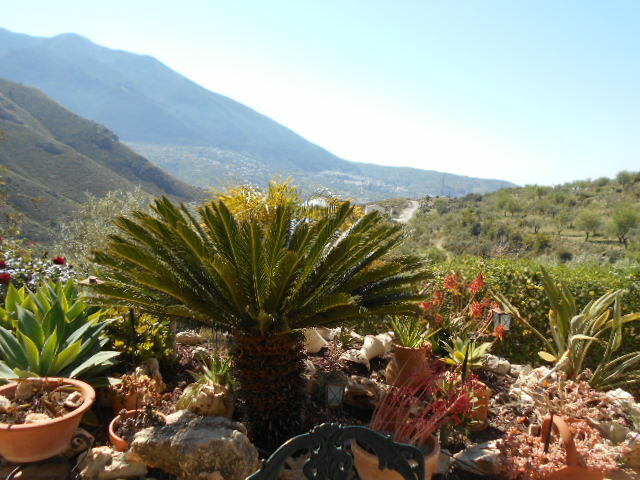 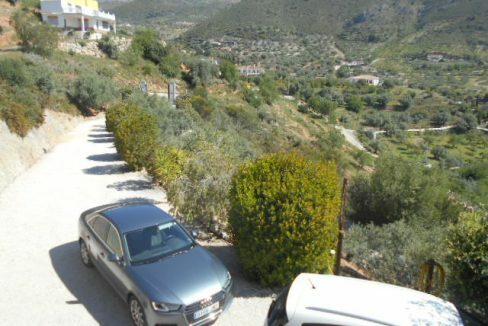 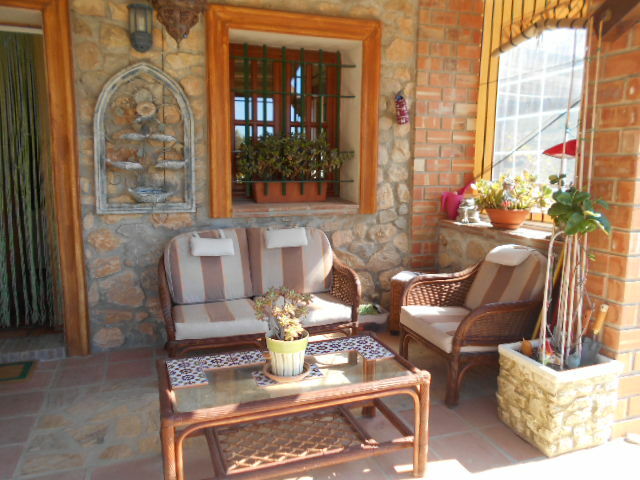 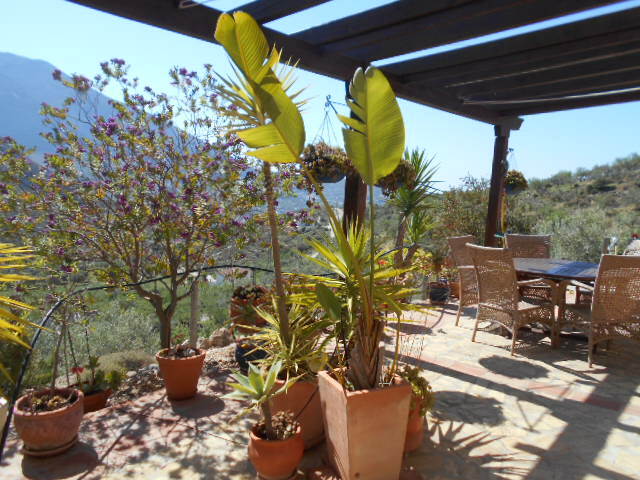 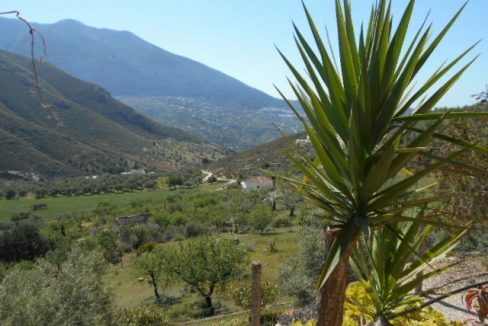 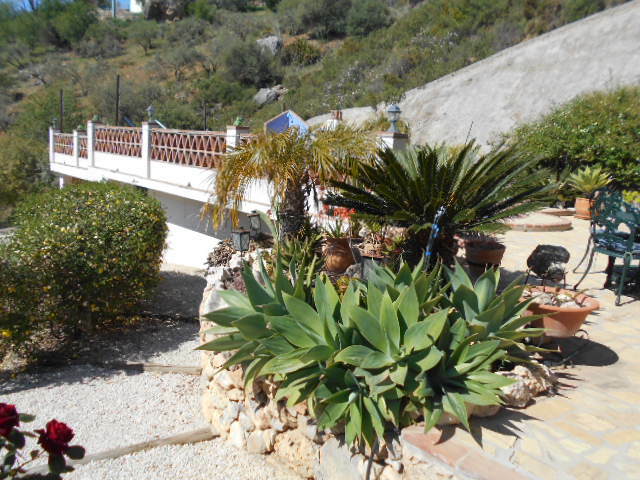 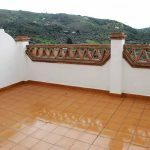 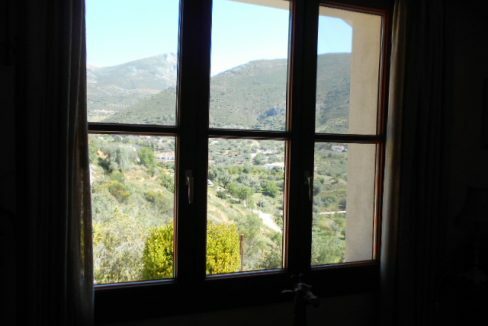 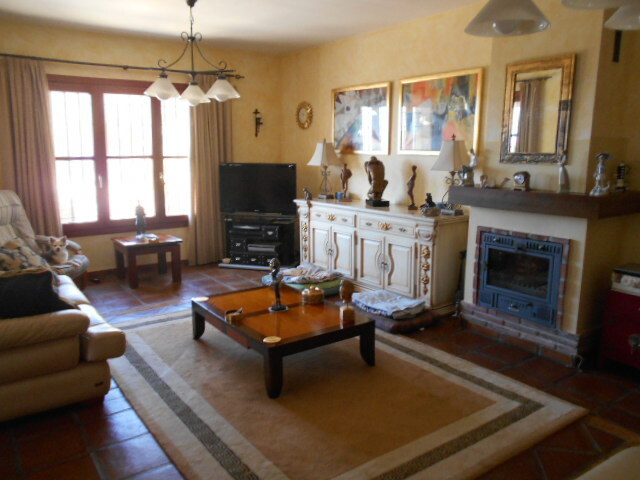 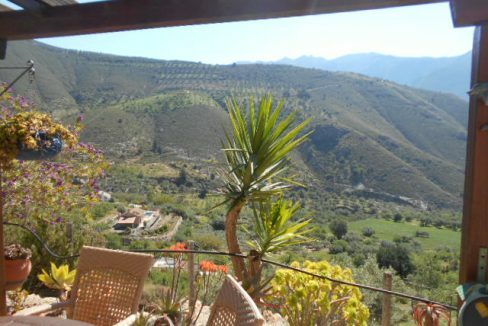 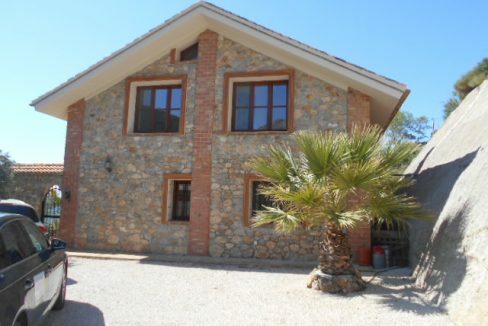 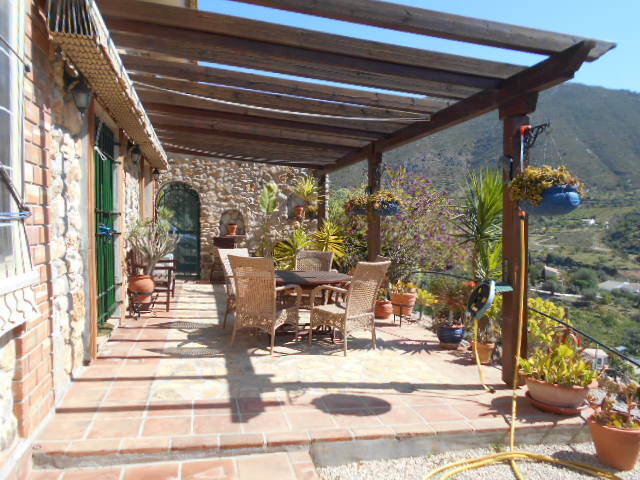 This fabulous property sits in an excellent position, with awesome views to the Axarquia valley and the Sierra mountain range. Just 5 minutes to the village of Alcaucin, where there are shops, restaurants, schools etc. 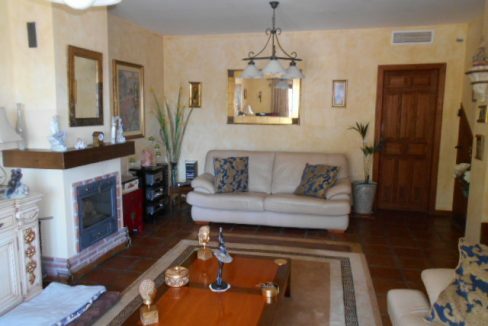 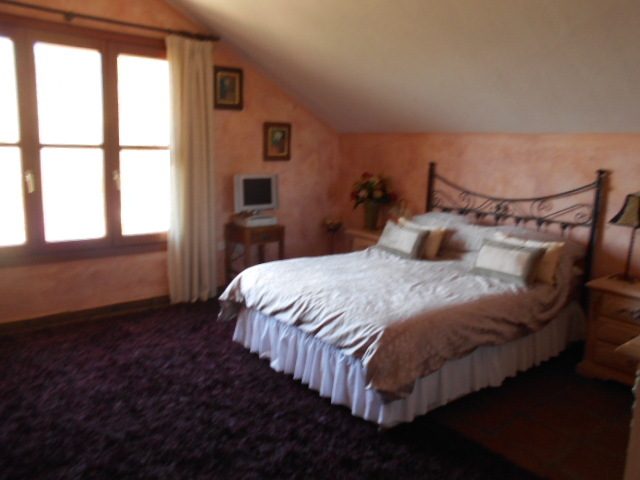 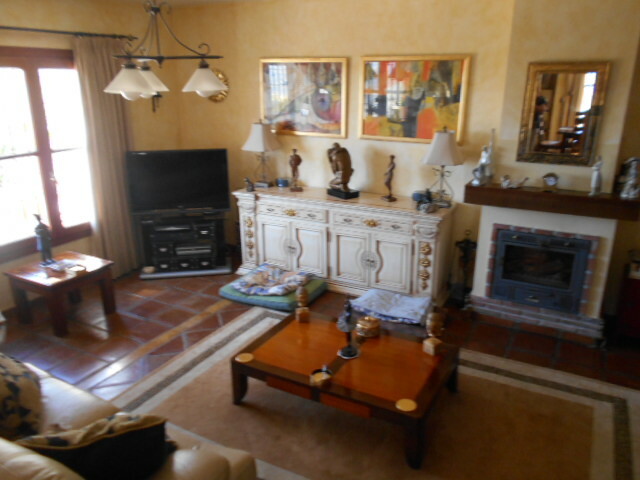 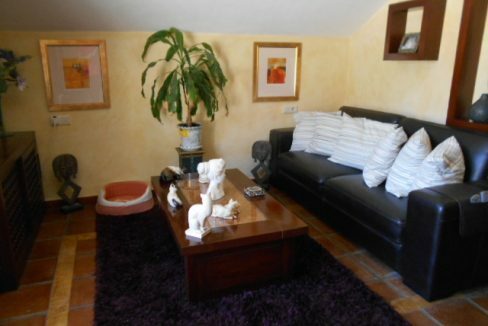 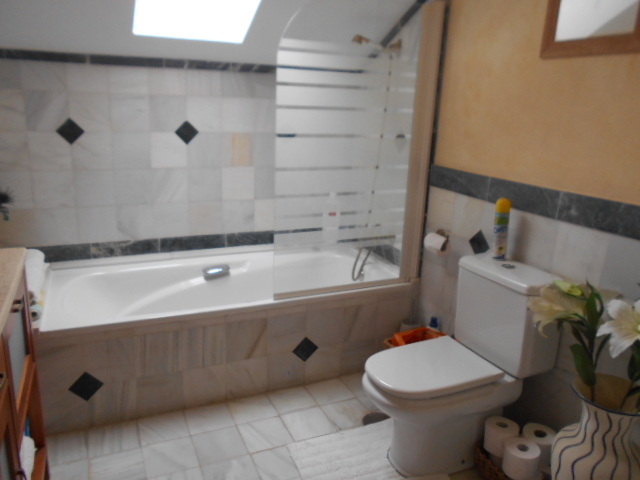 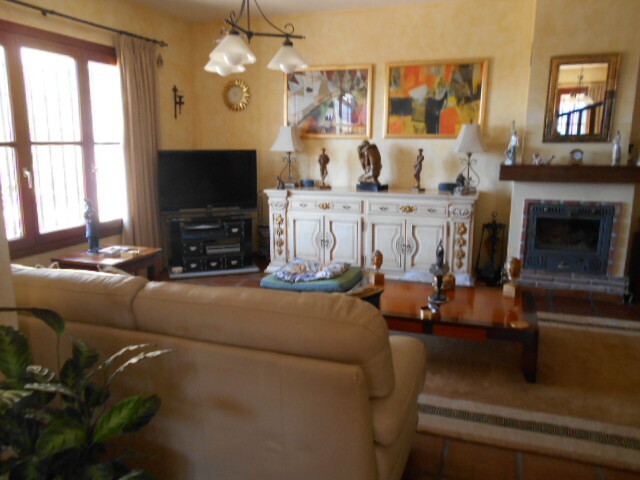 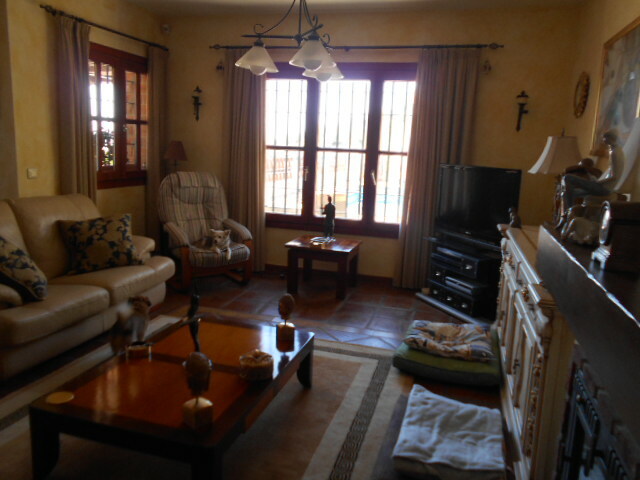 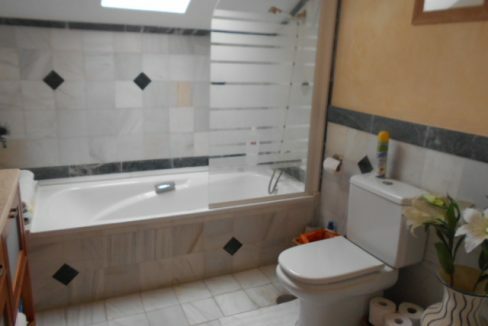 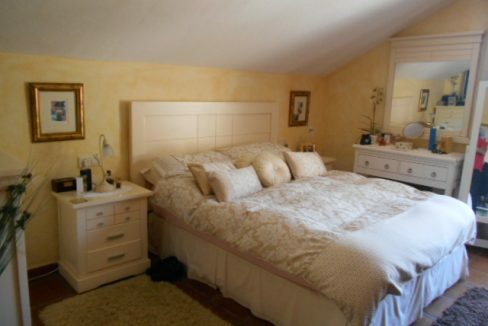 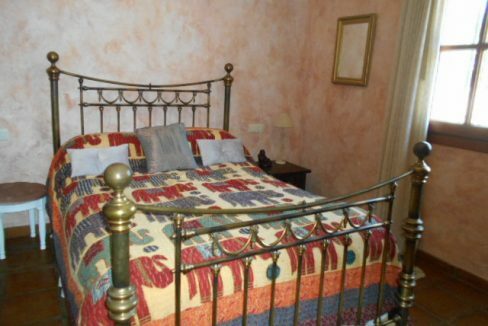 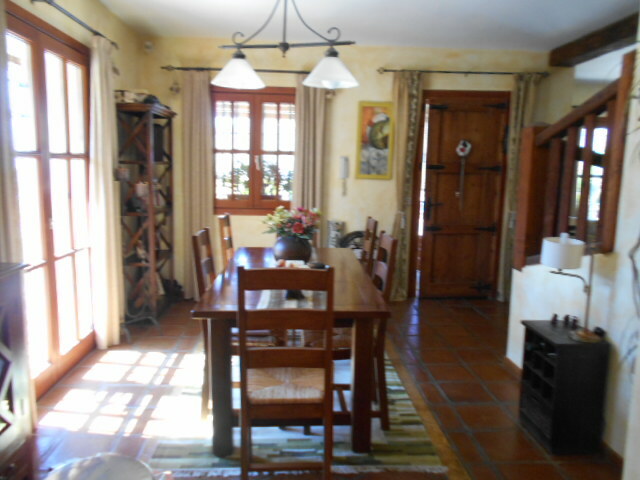 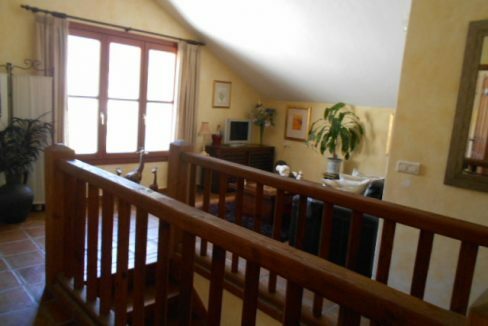 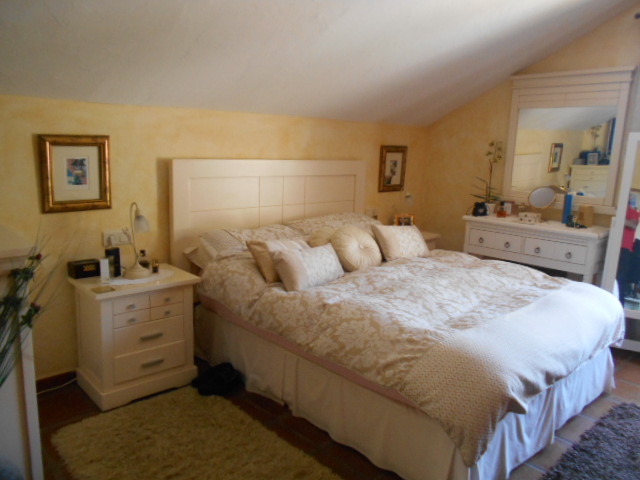 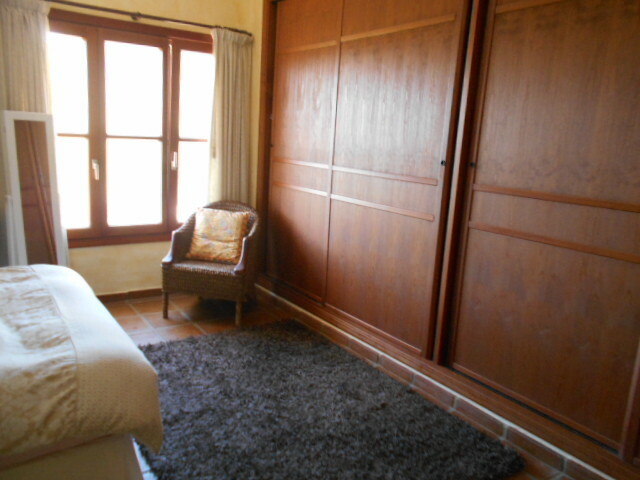 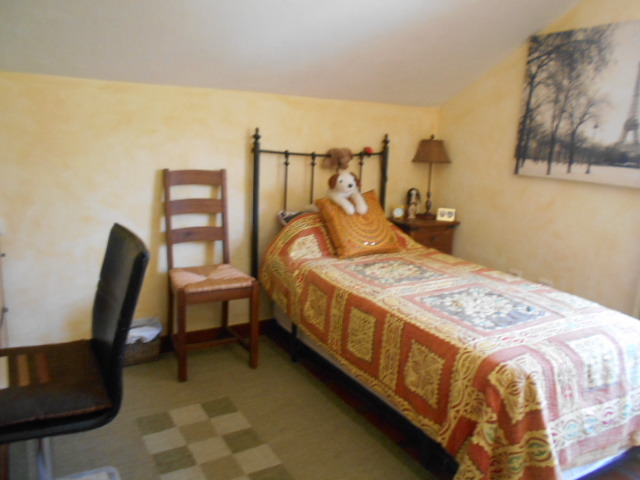 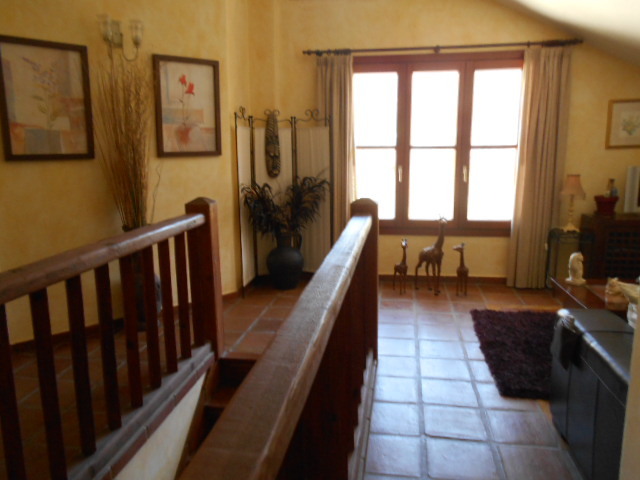 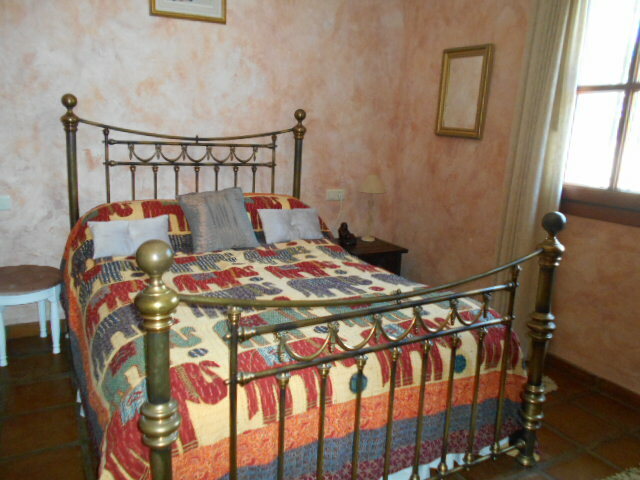 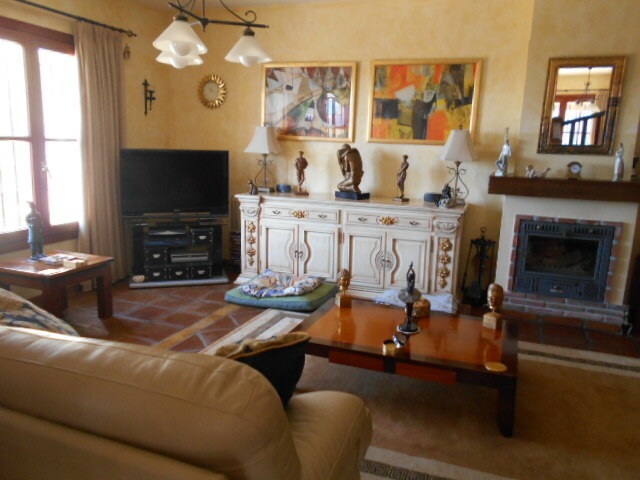 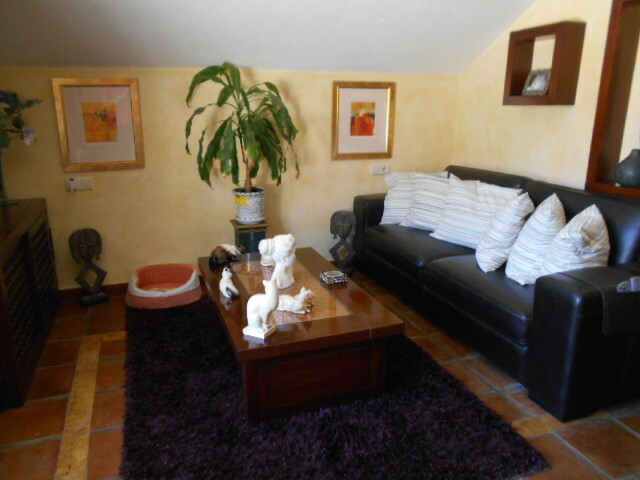 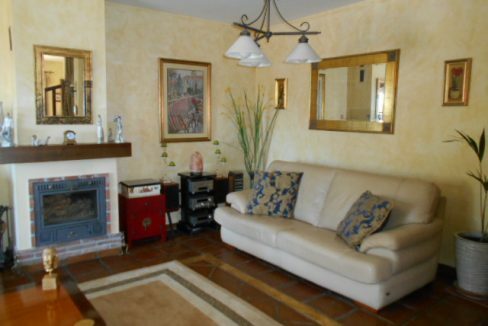 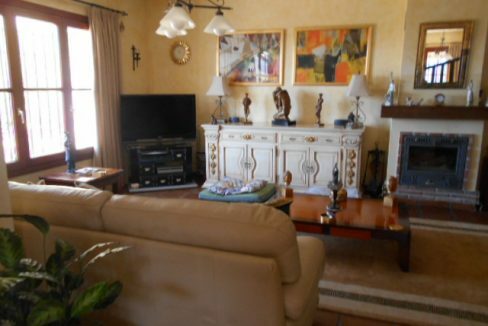 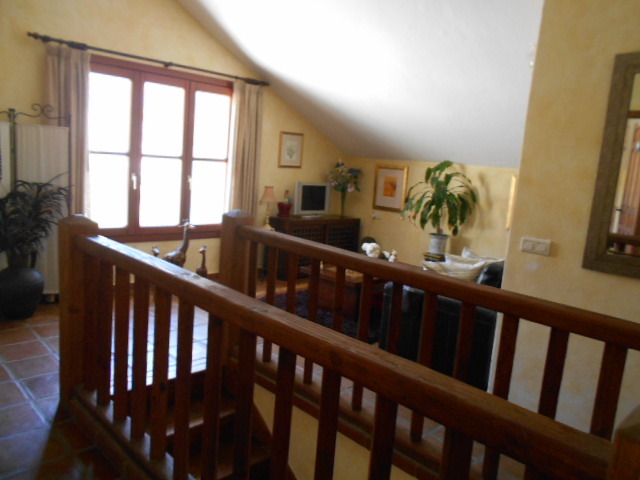 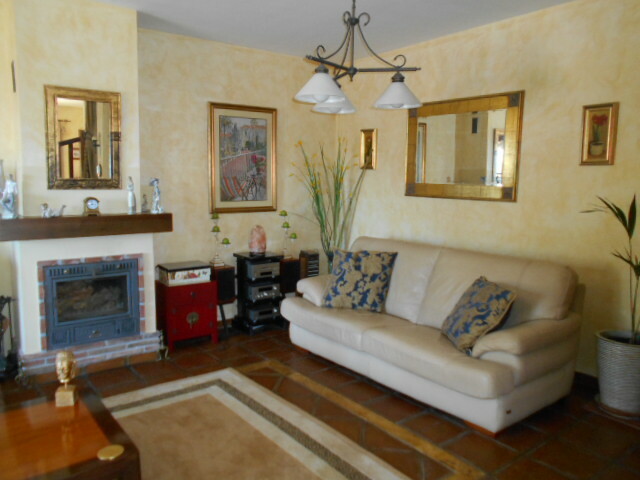 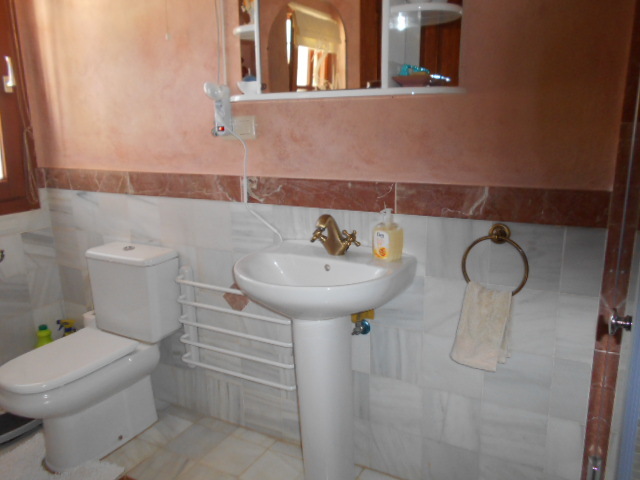 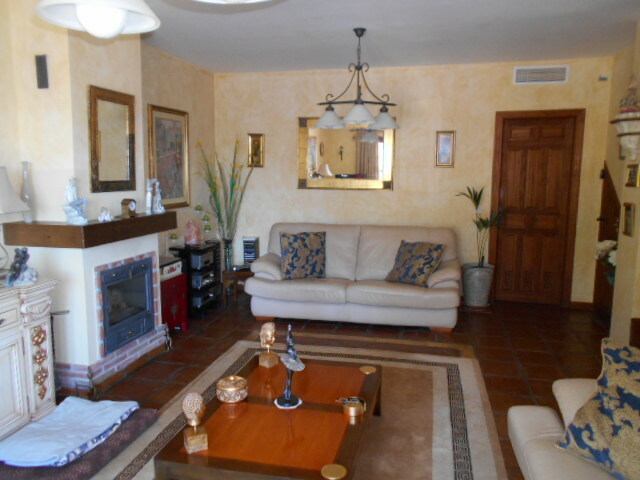 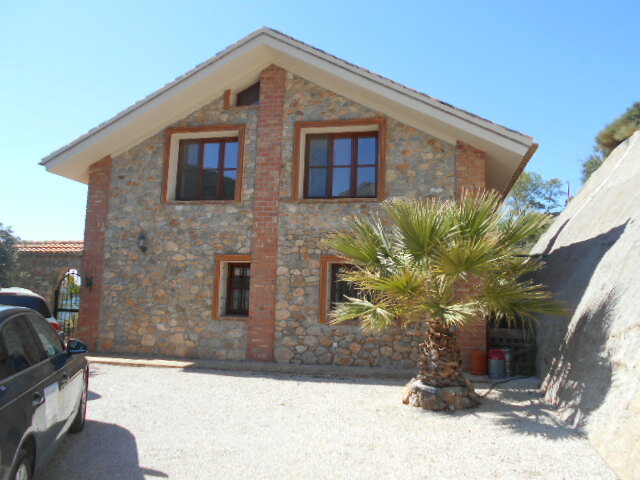 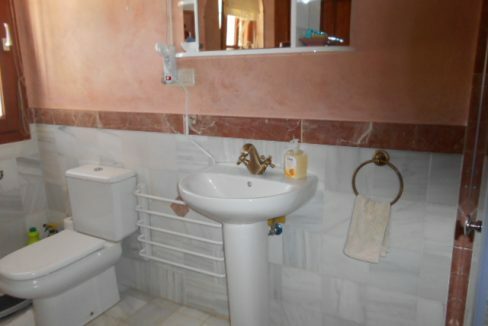 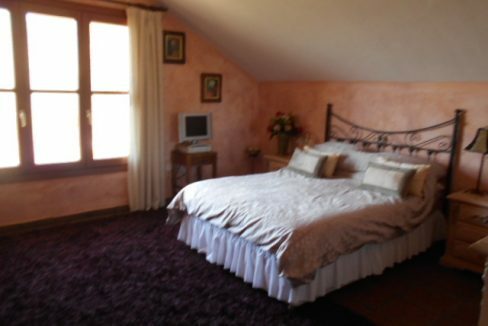 The property consists of 4 double bedrooms and 3 bathrooms. 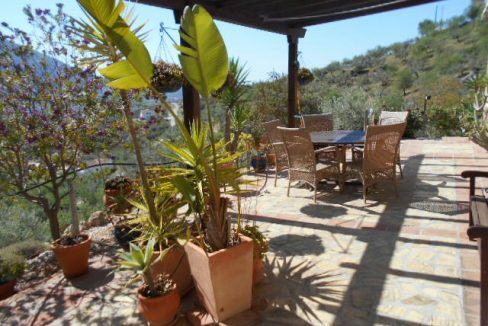 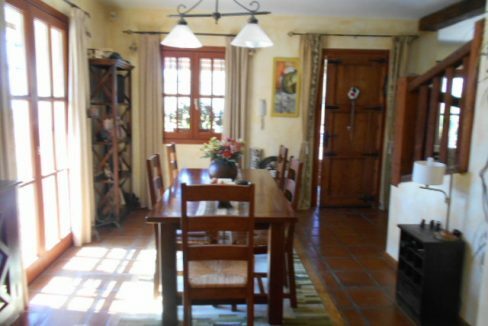 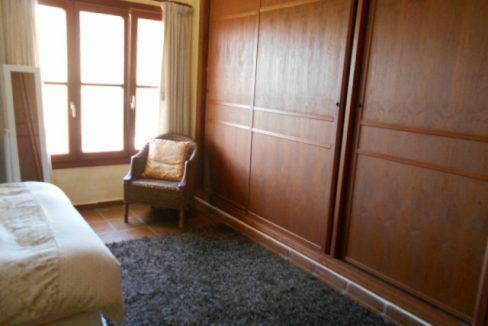 It is a very spacious, luxury property with all the extras, built to the old Spanish style with thick stone walls and wooden architecture. 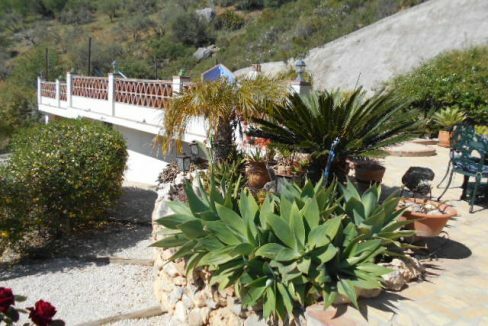 Other extras include sunshades, lights all on timers, gated dog run, electric gates, AC, Sat TV, internet, solar panels and much more. 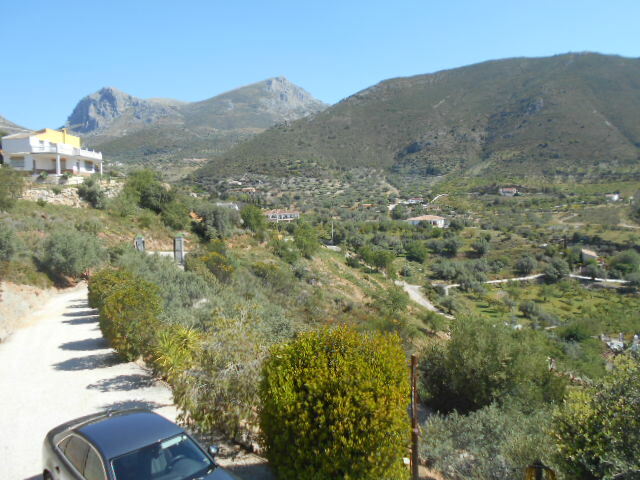 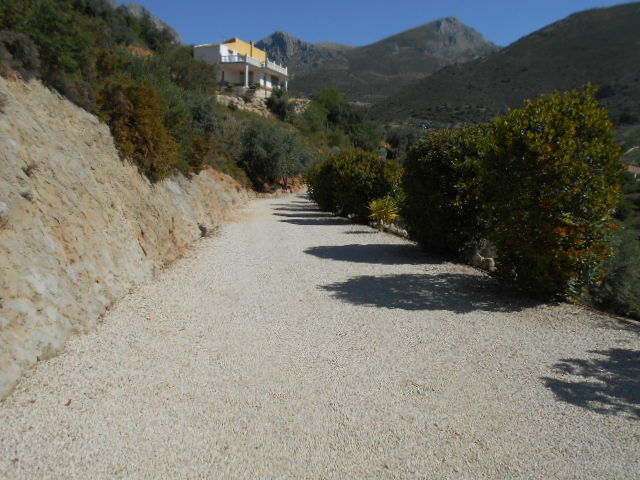 The plot size is approx 5200m2 and build is 206m2, without all the terracing. 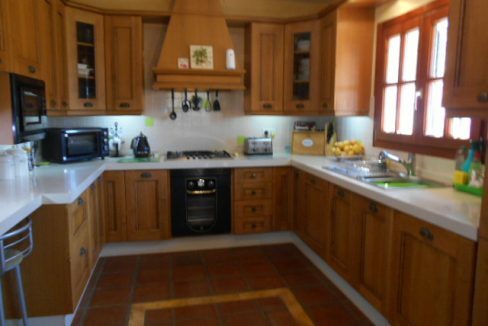 Kitchen is exceptionally well equipped and leads out to an open plan dining room and sitting room with log burner, a guest bathroom and bedroom on ground floor. 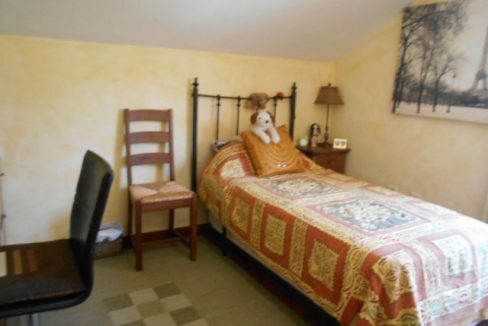 On the first floor there is a second lounge/snug with Tv etc., this could be used as another bedroom if required, however, there are 3 main bedrooms upstairs. 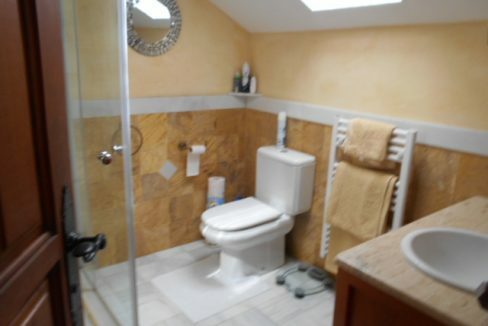 1 ensuite and 1 guest bathroom. 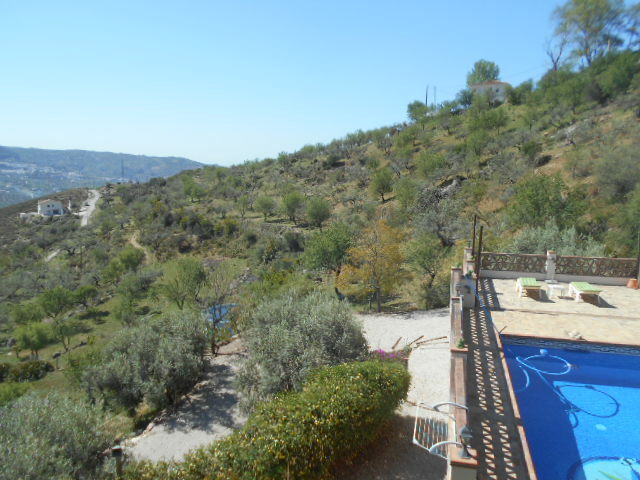 The land is suitable for horses and the location is very private, the garden is mature and well maintained with an irrigation system in place. 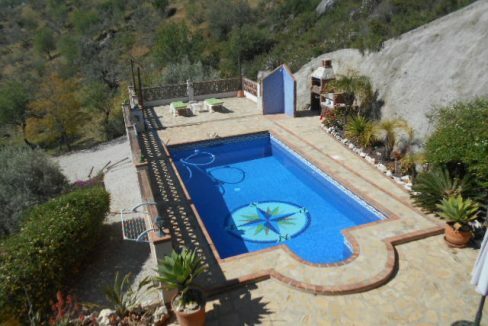 The pool is exceptional with a compass in the tiling in the bottom. 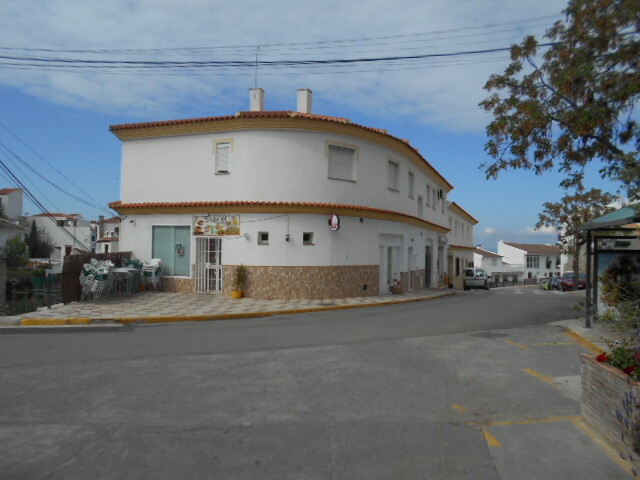 There is a separate building to the rear, with massive storage area. 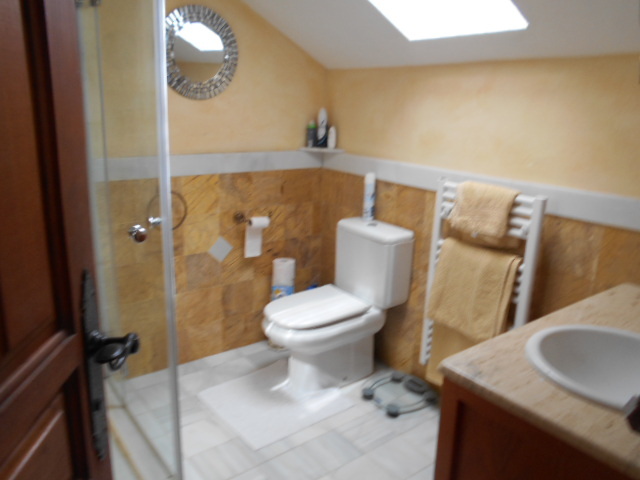 A covered area which hosts a large 6 man Jacuzzi. 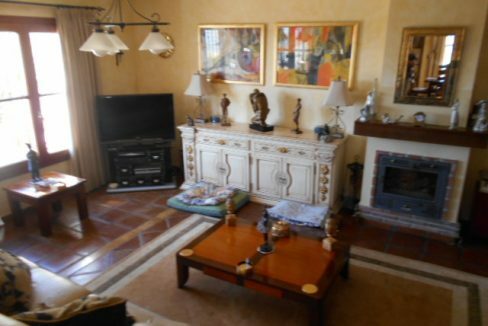 A very exceptional property being offered at a realistic price with opportunity to purchase a further 5000m2 by separate negotiation.